Are you on the hunt for a luxury crossover that promises to upgrade your next family adventure? Families who opt for the award-winning Jaguar F-PACE will find a best-in-class compact luxury crossover that promises elite performance at every level, opulent luxury and next-generation technology. 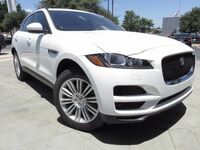 Learn more about the latest edition of the Jaguar F-PACE with this in-depth 2019 Jaguar F-PACE vs 2019 Acura RDX at Barrett Jaguar. 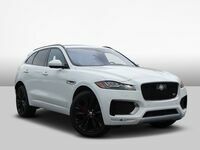 Find the right fit at Barrett Jaguar when you choose the 2019 Jaguar F-PACE. Available in seven grades – F-PACE, Premium, Prestige, Portfolio, R-Sport, S and the all-new, track-tuned SVR – that can be tailored to fit your lifestyle, the Jaguar F-PACE is a fan favorite for families who want to add some excitement to the neighborhood carpool. Jaguar F-PACE entries make room for five passengers in total luxury with 33.5 cubic feet of cargo space behind the rear seats – a number the Acura RDX cannot match. What Are the Differences Between the Jaguar F-PACE and Acura RDX? 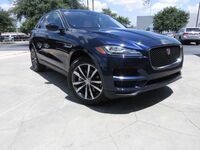 Luxury car shoppers will get what they pay for when they opt for the Jaguar F-PACE in this 2019 Jaguar F-PACE vs 2019 Acura RDX comparison. 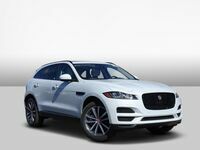 Entry-level Jaguar F-PACE trim levels feature standard all-wheel drive, 18-inch alloy wheels, a power liftgate, a panoramic sunroof, a 380-watt Meridian™ sound system, a 10-inch Jaguar InControl Touch™ infotainment system, front and rear parking assist systems, a rearview camera and Luxtec premium upholstery. Power and performance are hallmarks of the 2019 Jaguar F-PACE design that the all-new Acura RDX cannot match. With an arsenal of five power-packed engine options and a standard all-wheel drive system, the Jaguar F-PACE can tailor performance to fit your lifestyle. A responsive eight-speed automatic transmission is standard for all Jaguar F-PACE trim levels. Drivers who crave adrenaline-fueled thrills will love what the track-ready Jaguar F-PACE SVR brings to the table with a signature style, larger brakes, 21-inch wheels, an active exhaust system and a one-of-a-kind interior.